At the end of each month I will be sharing with you a few of my (random) favorites, whatever they may be. I've been really loving these sandals. The quality of the shoe is great (better be for the price! Ha) and it's the perfect neutral color. I have worn them with a simple t shirt, jeans and a nice top and even a dress. I'm wearing a size 9. 2. Favorite Trader Joe's find. I'm obsessed with Trader Joe's. It is one of the places that I shop at weekly and every time I go I always get a new (or 10) items to try. Occasionally I find something that I don't really care for but for the most part everything has been great. 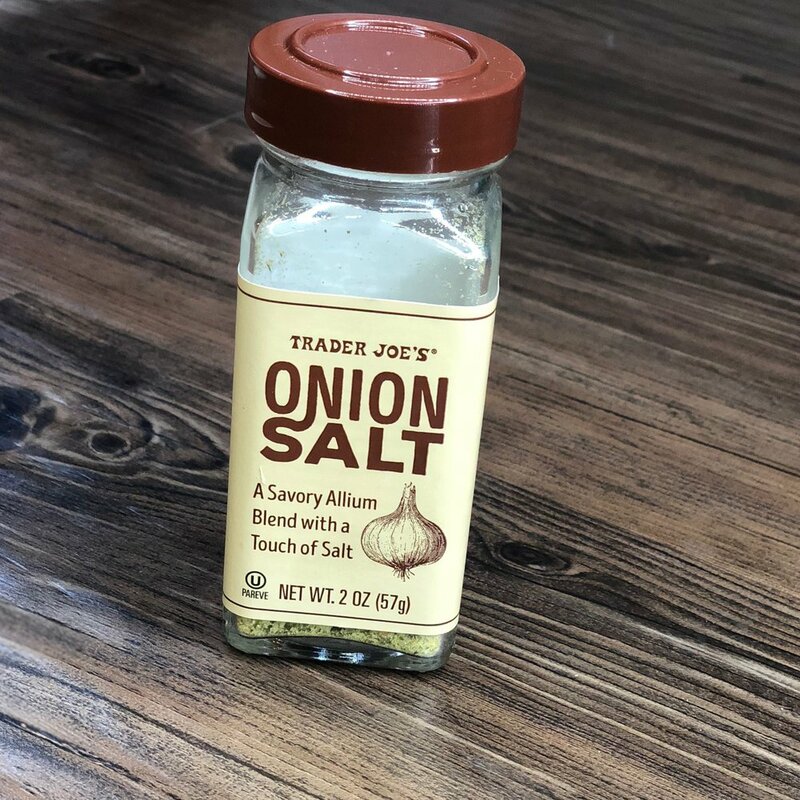 That being said, if you have not tried the Onion Salt you need to immediately. It is a mix of granulated onion, granulated garlic, minced onion, kosher salt, green onion and chives. It smells so good. (my husband would NOT agree, he hates all things onion...). I sprinkle it into most home cooked meals I make to add a little extra flavor or when I make eggs. They recommend using it in sour cream or when making dips! I've had the Too Faced Natural Love eye shadow pallet for a few years now (I think? Whenever it was released! ), but it has been the one I've reached for the most lately. Occasionally I wish there were a few more matte colors but overall I have been very happy with the color choices. What I like is how versatile it is. The colors are pigmented, but not overly. It allows me to have more control and to be creative. I am able to do a very simple eye look or I can really glam it up by building up the depth. It is sold out on Too Faced's website but Poshmark has a few used pallets and Amazon has a few new ones. So if you are wanting it, don't hesitate! I can thank my mom for this one since she sent me the article to read. It is such a sweet story and act of love. When our daughter was a baby a very sweet friend gifted us a "warm and cosy" sheep. If you do not know what those are, they are stuffed animals that you are able to stick in the microwave to warm up and often times have a scent. This one had lavender leaves in it. She loved this little guy. 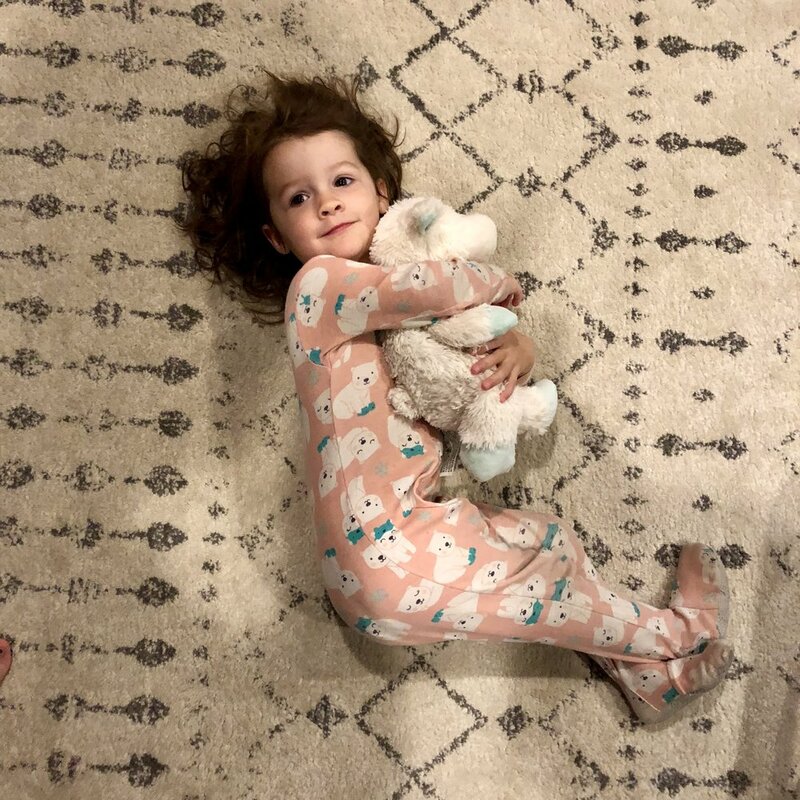 He quickly became her favorite and she named him Baa. Fast forward, a few weeks ago we were over at the same friend's apartment helping her move in. We stepped outside for a few minutes and during that time her two dogs got ahold of and destroyed Baa. It was the saddest thing. You could tell that Berkeley was sad but she understood when I told her that Baa had died and she could no longer have him. *cue the tears* Thankfully I still had the tags on him so for a week I searched and searched for an identical replacement with no luck. I googled and went through every link, I searched eBay, I even emailed the company itself and they had no recollection of this particular one. You see, the reason I was having such a hard time is because Baa was made in 2004. After having no luck I decided to post in every single mommy facebook groups that I am a part. Out of the thousands of members one mommy commented and said she had the exact same sheep and that her daughter wanted to gift it to us. To be honest I was skeptical. I thought that there was no way they had an identical Baa but sure enough, when she sent me a picture my heart leapt for joy. With Berkeley only being two we were able to tell her that "Baa went to the doctor and that he is all fixed now." Their reunion was the sweetest thing and the fact that this mother and child wanted to bless us made it even sweeter. How could I not cry?! It really is a miracle in my book.